Sabrina is a freelance editor and is available for jobs both large and small: get in touch with her for more information. Substantive editing of the first and second editions of the undergraduate sociology textbook Gender Circuits by Dr Eve Shapiro, which explores the impact of new technologies on the gendered lives of individuals through sociological analysis and in-depth case studies. 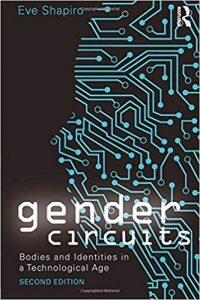 Examining the complex intersections between gender ideologies, social scripts, information and biomedical technologies, and embodied identities, this book explores whether and how new technologies are reshaping what it means to be a gendered person in contemporary society.